So here we are. Our hosted PBX packages are designed to be secure, redundant, and as hands-off for our customers as possible. Designed and maintained by Crosstalk Solutions to meet the needs of our customers. 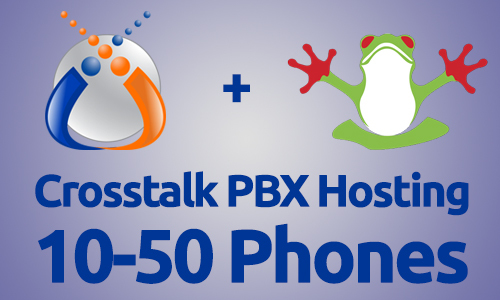 Crosstalk staff will log into your hosted FreePBX monthly to perform software updates and regular maintenance. This gives you the piece of mind that your server is always secure and up to date. Your virtual FreePBX instance is configured with automated monthly snapshots that can be restored as a brand new PBX in the event of a failure. Our hosted PBX services are powered by Vultr hosting services. We configure FreePBX to send monthly configuration-only backups to our offside FTP server. These backups can be restored to recover from failure, or to migrate to a different platform. Each Crosstalk Hosted PBX includes the setup of Let’s Encrypt for secure HTTPS communication with the server’s GUI. The $75.00 tier server includes the Sys Admin Pro commercial module. The $120.00 tier includes both Sys Admin Pro and Endpoint Manager. There is no long term commitment with our hosted PBX servers. Cancel anytime – keep your phones and move to another service without penalty. Can be scaled up to more phones! 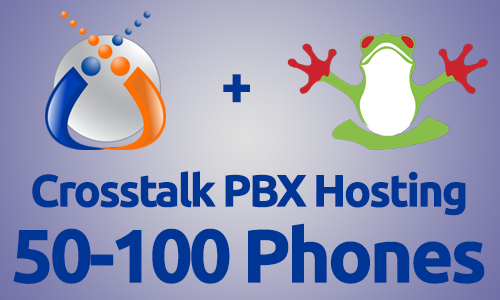 To learn more about Crosstalk's PBX Hosting services, or to order your server, please click the button below to contact us!